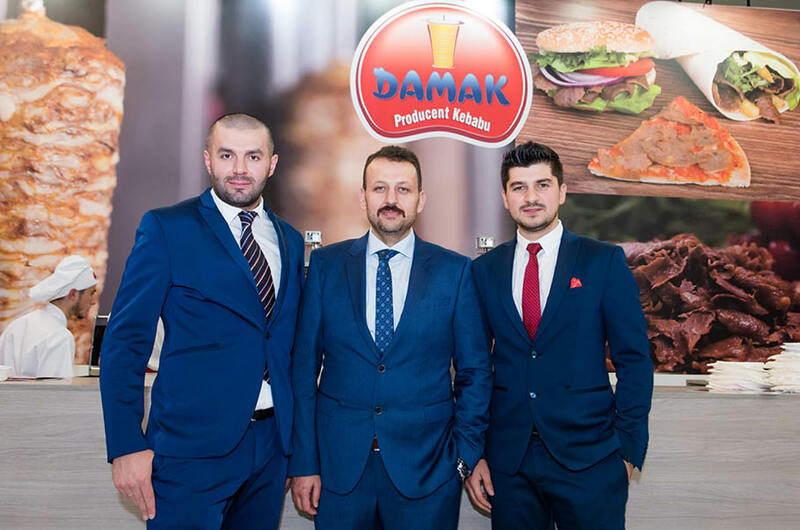 An interview with Hüseyin Kaptan, Founder of Damak Kebab on maintaining a competitive edge, exports achievements and importance of trade fairs around the globe. In last years Damak Kebab have focused on development in many directions. What are your recent achievements? One of the recent achievements that we focused on is our new green friendly factory. Its 90% of the construction has been already completed. With the highest technology, we will be producing 20.000 tons per year, in a 6000 sqm closed area. We are planning to start producing in that factory by the first months of year of 2019. In this production center, we aim to produce sliced&grilled kebabs, raw kebabs, chicken products and also ready-to-eat meals. Which part of your production is directed for export? 50% of our production is directed for export, to whole Europe. Currently we are planning to increase our capacity with the new investments, and then produce much more to export from Poland. We have a special team for international market with foreign speakers. They always keep in touch with our current and potential clients daily. On the other hand, we do never stop expanding our goals in Polish market as well. What kind of clients are the main recipients of your products? Wholesalers who sell food and meat products are our main recipients and consumers. Additionally; shops, restaurants and pizzerias are mostly demanding our products. As we are working on our new production center, our aim is to create a new way for ready-to-eat sector with our new high-quality products. Please tell us about Your products offer including sales hits and new products. Today, we mostly export sliced&grilled kebabs and raw kebabs to whole Europe from Poland. Thanks to our packed kebab products, you can buy ready meals and quickly cook at home in 5-10 minutes. We plan to add new items to our products such as ‘ready to eat meals’. Then we will be much readier for chains and markets to the last customers. What is the most important in terms of success in your industry, and what do You do to stay in the forefront? What we believe is that companies investing to production development with producing high-quality, hygienical and healthy foods, they catch the success very easily, in all sectors. We always continue developing on our products since we launched our company. As we export to many different countries, we know what kind of tastes our customers are looking for. That’s why our team has much more ideas and knowledge about what to work and develop on. Additionally, investing in human resources is one of the most important points of being successful in the market. Our customers always say how impressive team they see when visiting our production center. What is the difference between the production for the domestic market and the offer that should be prepared for foreign markets? While producing our products, we usually do not separate them for Polish or foreign markets. Yes, we don’t see much differences between them. Obviously, every country has some special food culture and cuisine that we should be careful about it when getting into their market. However, our sector is already very special and no need to make much differences. Trade shows are very important business platform in which You actively participate. What are the benefits of that? Exhibitions are the golden doors for us to walk into the worldwide markets. We always see it like this. We have chances to meet our potential and also current customers to talk about our investments and products. Additionally, exhibitions are great to follow up new traditions, create new networks, and get more experiences. What are your main goals to achieve in a few years? As we mentioned before, we are working on the new production center that extremely bigger than our other factories. We are willing to focus on much more ready-to-eat meals for supermarkets. As you know, we already export to whole Europe. Our plan is to increase our volume of exports to out of Europe. The world is becoming very small, as the technology goes to the sky. This is a fact that producing in one country and exporting to all over the world is not a deal anymore. In a few years, we will be investing more to our production centers, and also create more networks in other countries for making bridges of international business. We will have some surprises for you all, in 2019, once we complete our new center. Keep following us, and stay tuned. We are waiting for updates, thank you for the interview.